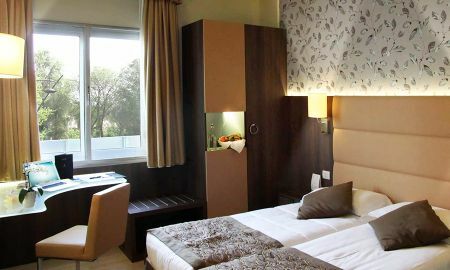 Magically set in the centre of Mestre, in the marvellous art city of Venice, Apogia Sirio Venice hotel will make your stay in Italy an absolutely memorable one with its variety of comforts and professional staff. As you step into the rooms, you will feel the perfect blend of cosiness and sophistication in a space neatly designed and equipped with all modern facilities. The hotel's restaurant serves international and regional dishes accompanied by a wide selection of wines. The Bar is an elegant spot where you can savour your favourite drink and relax in its internal courtyard. Apogia Hotel Sirio Venice is also a luxury and functional point for the organization of meetings and conferences in a space with capacity for 60 guests and exclusive services. The hotel is located in the centre of Mestre, near the pedestrian area of the historical centre and the new Towers, only 200 meters away from the new tram station connecting Mestre to the airport of Venice. 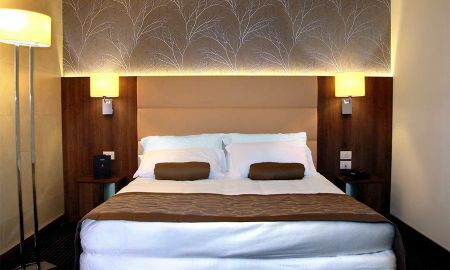 The Hotel is also close to the motorway exit of Castellana.